You have spent years working at a hairdresser, perfecting your skills and building a superb reputation. But now you’re ready for your next challenge. This guide tells you everything you need to know about how to open a beauty salon. The idea of owning your salon has been in the back of your mind for a while, but now you want to make this into a reality. How can you start a salon that is a cut above the rest? How Much Does It Cost to Start a Salon? Finances are the most important aspect of starting any business. Your goal is to be profitable as quickly as possible, but start-up costs could make you anxious. Gone are the days when a hairdresser could just be a hairdresser - the modern client expects your beauty salon to deliver on top-to-toe beauty, and for start-up costs, that’s not always cheap. After you determine your salon’s expenses on a monthly basis, you should create a revenue forecast for your first year, and then determine your break-even point, which is where your revenue and expenses zero each other out. Use this information — your expenses and projected revenue — to create a budget that keeps you on track and helps you avoid overspending. What Salon Equipment Do You Need? You’ve just signed the papers and picked up the keys to your new salon space. One of the first things you need to do is fill your empty space. While it’s easy to get wrapped up in buying equipment, furniture and decor, you have to remember that these things come at a price (and it’s often a high one). The amount of equipment you need depends on the size of your salon and the number of employees you decide to hire. 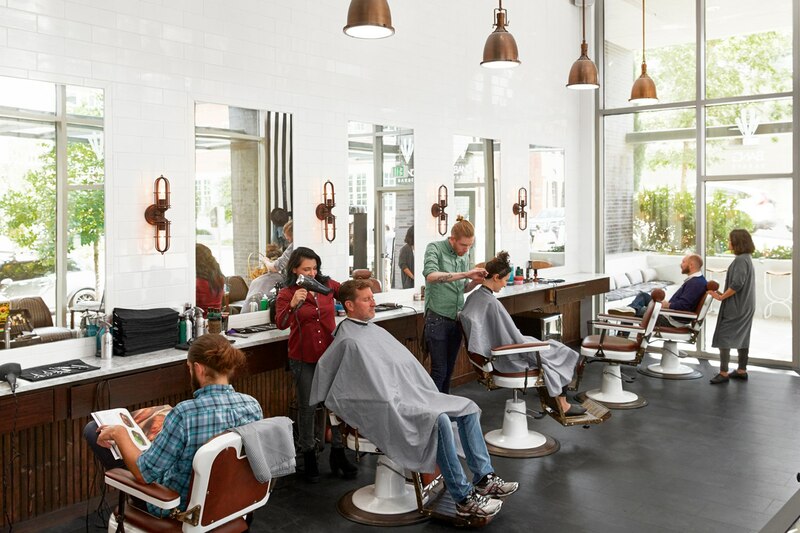 Most salons have one salon station per employee, but hair stylists with opposite working schedules may be able to share a station. A small reception area is also necessary for most salons. You may want a seating area for clients waiting to see your stylists, as well as a front desk. You can also display promotional offers for your business here. A mobile point-of-sale system is a must, and could even allow clients to pay while still in their chair. Pro tip: Most of the salon equipment and furniture can be bought at wholesale prices provided you show proof that you are a qualified professional. It can be a great way to save money if you are buying in bulk. Hiring the right staff for your salon is essential; the quality of your staff’s work makes or breaks your beauty business. Where once salons were almost exclusively about hairdressing, it’s now expected by clients that your salon can also offer manicure, pedicure, tanning, hair removal or makeup services as well, so you should look for a range of skills when searching for staff. Skill set: The candidate’s skill set and capacity to learn are both important to think about when interviewing. Think about the years of experience you want your stylists to have. Do you want your hair stylists to have proficiency in colouring? Or are you going to hire dedicated colourists? Attitude: A candidate’s attitude and work ethic determines their dependability, ability to work with others, and their overall customer service. Personality: A candidate’s personality should match the company culture you infuse in the salon. Whether you are aiming to be an upscale boutique or a family-focused shop, you want your company culture to be naturally instilled in your employees. Think about how you want to define your company culture and the traits that each employee should have. Before you hire anyone, make sure you’ve registered as an employer so Her Majesty’s Revenue and Customs (HMRC). This will allow you to begin a Pay As You Earn (PAYE) payroll allowing you to pay your staff while having correct income tax and National Insurance collected. When you start to hire, make sure you’re following the correct procedures for hiring employees. You need to confirm their eligibility to work in the UK, run the correct background check like getting in touch with references, as well as making sure they’re fully qualified. Once you’ve hired and onboarded your employees, you might feel like your job is done. Not so fast. The salon industry is competitive, and you often see hair stylists jump from one salon to the next. Build strong relationships with your direct reports and encourage team bonding activities outside of working hours. Outline a career path for employees and give your hair stylists an opportunity to advance. Promote from within before you hire outside your salon; this encourages stylists to stay. Offer competitive compensation compared to salons in the area. Provide perks like flexible hours, commuter benefits, birthday recognition and regular happy hours to keep your employees feeling valued. Once you have stocked your salon with supplies and hired stellar stylists, it’s almost time to open your doors. But before you do, you want to make sure you have a way to accept payments and make money. Let’s start with taking payments. You want to look for a payments processor with clear pricing and no hidden fees. Your payments system should allow you to take whatever form of payment your clients want to use, including contactless card, chip and PIN and mobile payments like Apple Pay. What is the setup process like? You should look for a payments processing system that is easy to set up. How fast will deposits hit your bank account after a transaction? You want to get paid for your services quickly and not endure lagging processing time. Is the payments processor secure? A payments system should have security measures and be PCI compliant. Ask about chargeback protection and fraud detection to get a better sense of how protected you are. But don’t think of your payments processor in a silo. Ideally, you want your payments processor to be integrated with a point of sale that can help you run your entire business. A salon point of sale can integrate your payments system with other salon operations — like appointments, marketing and employee management — to make your day-to-day management more efficient. Additionally, you can access sales reports, customise discounts and manage inventory in real time with the salon POS system. You can even use a POS to get direct feedback from customers through a private feedback channel. All of these integrations can give you a more holistic view of your salon and help you manage your business easily and with efficiency. Many salon owners do substantial research, create a detailed financial plan and take all the right steps when opening their business. But staying afloat in the health and beauty industry is tough. Inadequate cash reserves. You need cash reserves for unexpected costs and fees that you may incur when you are opening a salon. Lack of industry experience. Without expertise in the industry, you can struggle with day-to-day operations and forecasting for future growth. Many top-performing salon owners have been in the industry for many years. Failure to keep up with trends. Salon trends change frequently, and sticking to your old ways can lead to a downturn in business. Promote continued education for your staff and encourage them to learn new skills and expand their services. Failure to manage appointments. 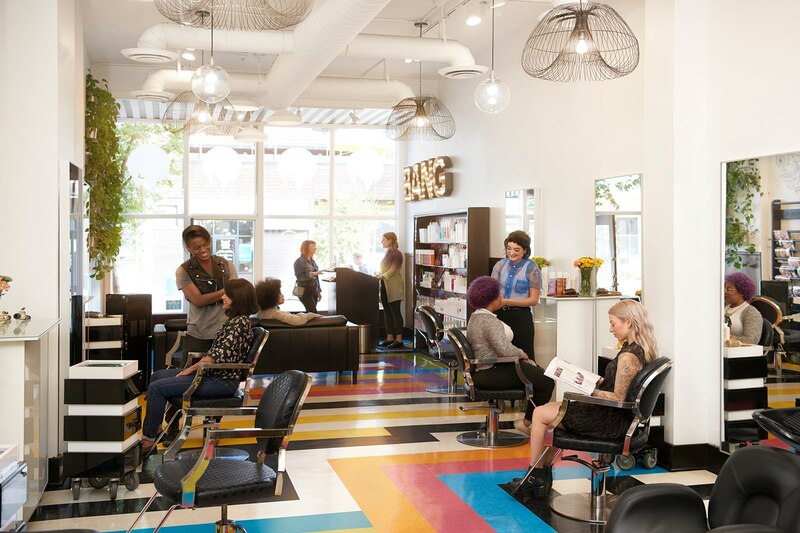 Salon owners who find it difficult managing walk-in appointments and recurring clients often have a hard time staying afloat. It is essential to warmly welcome walk-in customers without tarnishing relationships with existing clients and bogging down the scheduling system. Competition. Because of the industry’s saturation, competition is a top struggle for many salon owners. Owning a salon is a lucrative business that attracts a lot of entrepreneurs, so it is important to constantly assess neighboring salons and remain competitive with prices, services, and overall customer service.